Wakeboards come in all different patterns and sizes, and when looking for the best of the best it’s nearly impossible to find just one. Starting off with the manufacturer such as Airhead is a wise decision as they have become well-known within the watersport industry. 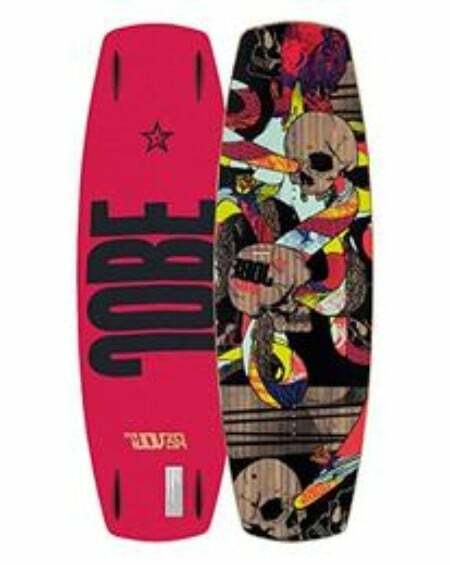 Airhead wakeboards need no introduction as you are guaranteed to get a great deal for the money and are truly skillful in their own right. The Airhead AHW-1030 Shred Time Wakeboard is a great wakeboard for youths, and if you’re a boy or a girl you may just find this board to your liking. Coming in at 124cm, it proves to be the perfect size for youths of both intermediate and beginner skill levels. This transitionary wakeboard helps make the rider better which is what riders of all levels can only hope for. If you’re a youth rider weighing less than 130 pounds, than this is a highly recommended board. Coming in around $145, it’s not Airhead’s cheapest wakeboard, but it is the best for youth riders of all different skill levels. With high performance features such as the continuous rocker, twin tip, and removable nylon fins, the Shred Time Wakeboard is a great buy with free shipping. Check Amazon for promotions and discounts on the Airhead AHW-1030 Shred Time Wakeboard by clicking below. The Shred Time wakeboard may just be one of the best wakeboards for youth riders. The appearance is definitely more appealing for younger riders than adult riders as well as the set-up entirely. It comes in at 124cm long and has a recommended weight limit of 130 pounds. 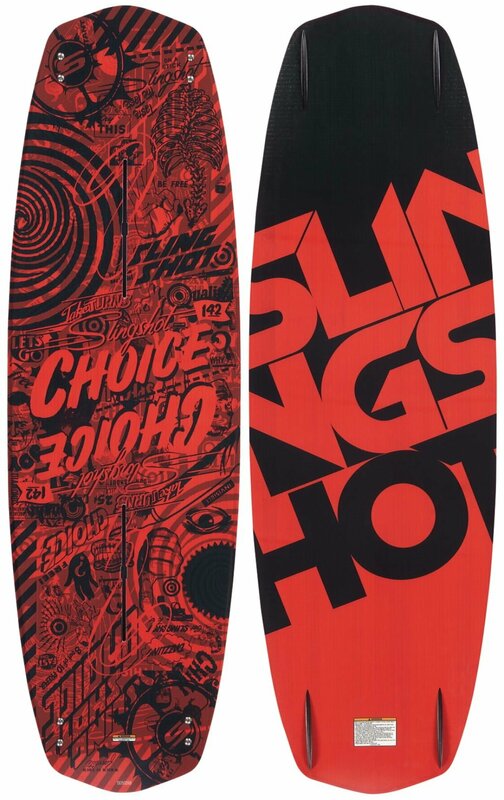 Some would say this board is better suited for males based on the appearance, but we would say it could go both ways. Lightweight and offering many of Airhead’s unique features that will help transition a beginner into a better ride in no time at all. 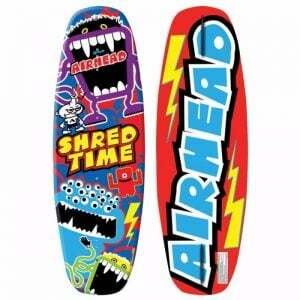 Airhead has done a great job with all of their boards, but the AHS-1030 Shred Time is their best adaption for youth riders. Coming in at only 6.8 pounds, it handles wakes with ease while making handling out of the water a breeze. One of the biggest things that beginners are faced with is finding a wakeboard that has a minimal learning curve. Some boards take a great deal of time to fully understand all the various intricacies that separates one board from another. The Airhead Shred Time wakeboard requires no special skills, and in fact it makes riders much better than they really are. 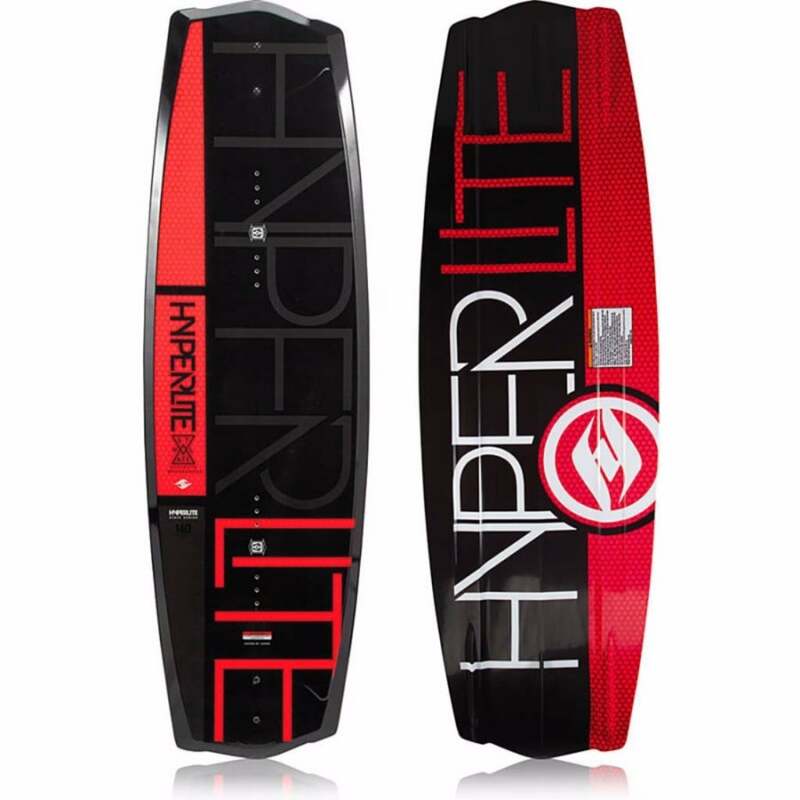 Out of the box, it’s a very functional wakeboard and with such features as the continuous rocker and removable fins it takes handling and performance for youth riders to a whole new level. Check Amazon for the best prices, discounts and promotions on the Airhead Shred Time Wakeboard by clicking on the exclusive link below. 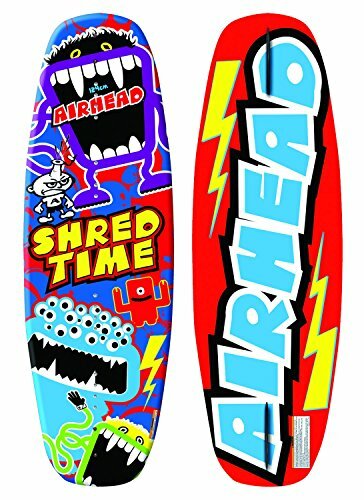 Buy the Shred Time Wakeboard by Airhead on Amazon through the exclusive link below and get free shipping with Prime.